Detroit, Michigan--- Gay activists announced today that murders of at least two African American gays have been linked and there may still be a possible connection to other murders of other black gay men in Detroit. Late last week the Wayne County Prosecutors office reported that new evidence has linked Willie Brown, who was recently convicted of murdering gay African-American civil rights activist Harold McCormick, to another murder that occurred last year in Detroit. The Triangle Foundation suspected early on that a string of murders of gay black men in or near the City of Detroit may have been related. The killings shared similar details, including the sexual orientation, race, and method of the killing. In addition to notifying the African-American gay community about the killings, Triangle also began working closely with the police in Oakland County and the City of Detroit, to find information and witnesses to help identify any suspects. Within weeks, Willie Arthur Brown, was arrested and charged with the high profile murder of Harold McCormick in his Royal Oak Township home. In November of 1999 Willie Brown was convicted of First-Degree Murder and Felony Murder in Oakland County Circuit Court. 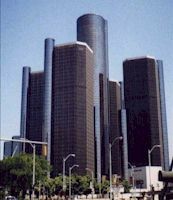 The Triangle Foundation has been working closely with the Detroit Police Department and the Wayne County Prosecutor's office to continue investigating the other unsolved murders from May of 1999. Soon after the Brown trial was completed, Wayne County Prosecutor Robert Spada requested DNA evidence from that trial to compare it to evidence discovered in the murder of Eddie Matthews. Matthews was gay, black, and was also strangled to death in the same way Harold McCormick was. In the next few days, Spada is expected to charge Brown, who is currently serving his life sentence, with the new murder. "We are ecstatic that there may finally be some closure to these tragedies," said Sean Kosofsky, Director of Policy and Victim Services for the Triangle Foundation, a statewide civil rights and anti-violence organization for gays and lesbians in Michigan. "We suspected early on that the murders of these gay men were related. This good news is the result of persistence, collaboration and diligent work between the Wayne County Prosecutor Robert Spada and Triangle. Hopefully now any friends and family of Eddie Matthews, and certainly members of the gay community, can breathe a little easier. Mr. Spada's dedication to this case has truly paid off."